She decided to focus more on a field that involved helping people, finding a part-time job in home health working with senior citizens. “I loved feeling like I was taking care of people and giving back to my community, but it was harder than I expected it to be emotionally.” The kind of care she had hoped to provide patients with was not what she was witnessing on-the-job. The position was also low-paying, forcing her to work a second evening job to make ends meet. 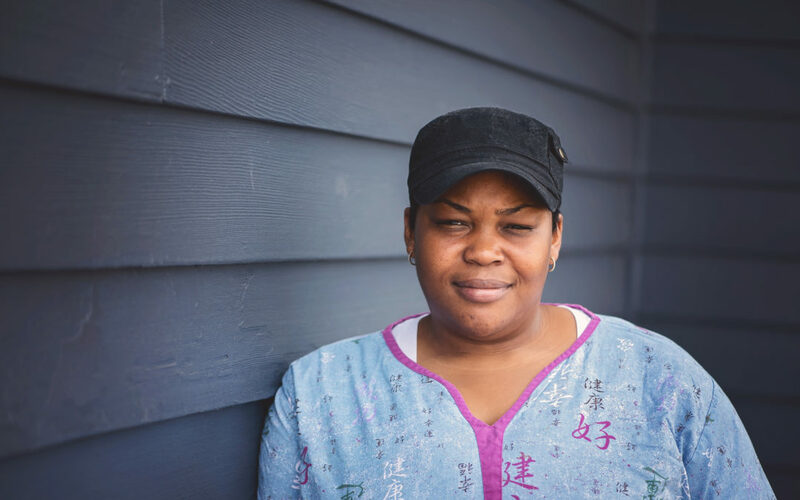 Just as her discomfort with home health had started to grow, Christine happened to be approached by a woman at Operation Breakthrough about The Grooming Project, which was enrolling its first class of students. She had not had much experience with animals as an adult, so the idea of working with dogs made her unsure at first. Her kids needed something more stable than her part-time job at Taco Bell, though, and the home health position she was trying to leave for emotional reasons also wasn’t getting her family anywhere financially.